Well, that was a hectic few weeks in the run up to Christmas, an event now well past its sell-by date. Hopefully this will excuse the long period of recovery needed by The Raver to get down to business. Okay, we’re back, so now read on! December 2018 began with the legendary music biz lunch, regularly held at the Bulls Head, Barnes. Know as The Scribblers, Pluckers and Strummers, this informal society was founded by NME’s Keith Altham some 20 year ago and is now organised by the tireless Leslie Ann-Jones with a little help from her friends, Rab Noakes and David Stark. Musicians, journalists, authors, publicists and record company folk gather to reminiscence, exchange jokes and gossip and studiously avoid any self promotion, ‘no business’ being one of the society’s steadfast rules. The merry crowd were regaled by newly invited guests Linda Lewis and Madeline Bell who broke into an impromptu singing session that wowed the regulars. These included Paul Gambaccini, Simon Napier-Bell, Don Powell from Slade, Tom McGuiness of Blues Band fame, John Coghlan, Rob Townsend, Chris Charlesworth, Philip Norman, new guest Blue Weaver, and of course, Keith Altham. Drinking toasts is a frequent occurrence at the crowded of tables attended by waiters bearing fresh supplies of bread, soup and alcohol. As conversations become animated, the accompanying wild gesticulation can cause calamitous upsets. And so it was Clapton’s latest biographer Philip Norman took his turn to spill a glass of white wine all over The Raver. We should explain this has become a kind of unspoken tradition. At a previous lunch it was former MM editor Richard Williams who spilt red wine over the Raver, but – please note – Richard kindly offered to pay the dry cleaning bill for the sodden suit. 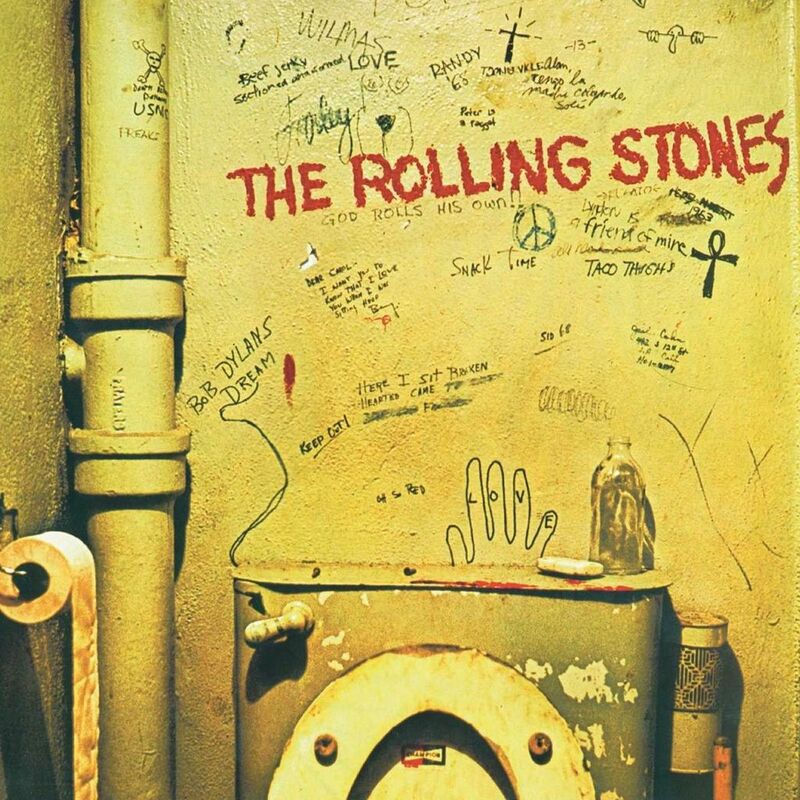 The next day December 5th, was the 50th Anniversary of the lunch that launched the Rolling Stones’ album Beggars Banquet at the Gore Hotel, Queens Gate, Kensington.  Your Raver attended the original event in 1968, and it was his first visit back to the hotel, since that memorable day in the restaurant when all the Rolling Stones including Mick Jagger and Brian Jones, hurled custard pies in the faces of all and sundry. As compensation for this indignity, everyone was given a signed copy of the album. Now priceless, my copy bearing Brian Jones signature, was sadly purloined not long afterwards. Here’s how it was reported in the Melody Maker, on December 14th, 1968. THAT custard pies would one day be hurled by the Rolling Stones at the gentlemen of the press was fairly inevitable. In a taxi on my way to a Beggar’s Banquet with the Stones last week, a premonition seized me that some kind of demonstration was in store. “I bet they throw custard pies at us,” I suggested to the editors and staff of rival newspapers. All turned a deaf ear to such an idea. But my predictions were to be proven wholly accurate. The banquet, cleverly conceived by the way, was held at the Gore Hotel, a venue noted for its Elizabethan style decor. In a candle-lit basement with straw on the floor, the motley collection of guests were seated at long wooden benches, and served a mess of pottage on wooden platters by buxom wenches with strong mead at the ready and even stronger Kensington accents. Among the guests were Lord Harlech, deejay Mike Raven and the fifth battalion Fleet Street Heavies. I was wondering who would be the first to knock a candle into the straw and thus incinerate one of the world’s top groups, when a minstrel appeared and began some indistinguishable air. He shortly retired in high dudgeon as nobody was listening and bread pellets began smiting him in the face with stinging force. The Stones seemed in a suspiciously jolly mood. Mick, wearing a cardboard shirt front and a white plastic fork strolled up and down chatting to the guests. Brian looked like a medieval prince at Mick’s side, while even Charlie Watts managed a smile. Toasts were drunk and free autographed copies of Beggar’s Banquet were distributed. “Dear old Stones,” burped my journalist colleague, a tear starting out of his eye. “They’re not bad lads,” he sniffed, as his face slumped into a mess of potage. “Right, have you all had enough to eat and drink?” inquired Mick standing up to address the throng, most of them rendered helpless by deep draughts of red wine. “Well, we haven’t asked you here just to eat and drink, have we?” A satanic Jagger grin spread over the satanic Jagger features. As he spoke minions rushed in bearing golden boxes for each guest, and inside each golden box was a genuine imitation custard pie, ready for hurling. Within seconds, all hell broke loose as the Stones aimed the pies in the faces of Lords, reporters and even the doyen of Fleet Street, Les Perrin, who is Mick’s fatherly aide in dealing with the press. Standing in the middle of the melee, like Tony Curtis in The Great Race movie somehow I totally escaped the synthetic custard, save for a minute blob on the head. Photographers lurched around trying to get shots, while Don Short of the Daily Mirror held up a chair to prevent injury. When the battle was o’er, a parting shot struck me a cruel blow over the eyes. It could have been a cardboard box, but felt like grape shot. I looked around for my journalist friend, and tripping over a few dead photographers, found him white with anger and ersatz meringue (what a great name for a group). Well done, the Rolling Stones! The 2018 Beggars Banquet was actually a dinner, rather than a lunch, and was organised by Paul Endacott of Swinging Sixties London Bus Tours. The private dinner was attended by Anthony ‘Top’ Topham, one of the founder members of The Yardbirds and top PR Judy Totton, who together chatted happily about cats and birds, always a favourite subject amongst the post-Sixties generation. A London Transport double decker Routemaster bus suddenly drew up outside the Gore Hotel and disgorged a crowd of tourists, who happily poured into the basement to hear speeches by veterans of the original event. Then came a vigorous performance by Not The Rolling Stones, a fine tribute band who launched straight away into Sympathy For The Devil, Let’s Spend The Night Together and a thunderous Not Fade Away. Visitors from as far away as Canada were entranced and I’m sure the Stones would have approved, except nobody got a pie in the face this time around. No sooner had we recovered from the Stones celebration then it was time to re-engage with the Bonzos– or at least a revival of their memory in the shape of performer Michael Livesley giving an extraordinary one-man re-enactment of the late Vivian Stanshall’s eccentric Sir Henry Rawlinson character in a non-stop monologue. The reading (at the Bloomsbury Theatre on December 7th) was introduced by Vivian’s old mate Rodney Slater, of saxophone and parrot fame. Rod told the packed audience how he and Viv had devised the name for their group way back in 1962. 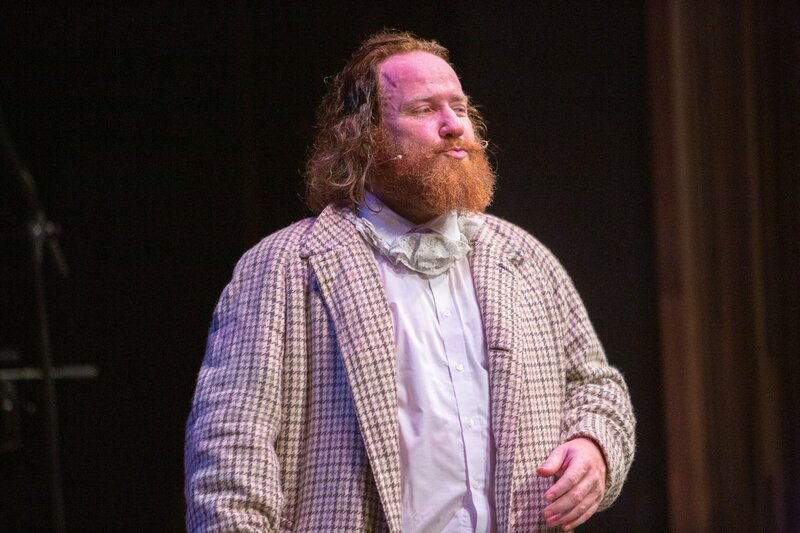 ‘The Bonzo Dog Doo Dah Band’ sounded just the right note for a group of art students, dedicated to reviving old hits from the 78 rpm era, as well as creating an hilariously funny stage show. It was Neil Innes and Vivian Stanshall who began composing their own material as the band developed into one of the most popular groups of the Sixties, even hitting the pop charts with I’m The Urban Spaceman. When Stanshall left the group he further developed the ‘Old Sir Henry’ concept that was first heard on the 1972 Bonzo Dog album Let’s Make Up And Be Friendly. He expanded it into a surreal saga with a group of bizarre characters roaming an archetypal English stately home for a BBC radio series hosted by John Peel. Eventually there was an album called Sir Henry at Rawlinson End (1978) released by Tony Stratton Smith of Charisma Records, who also produced the 1980 film version. Directed by Steve Roberts it starred Trevor Howard as Sir Henry and Vivian as his brother Hubert. It was a cult hit, despite a chaotic ‘shoot’ during which Vivian proved even more of a handful on the movie set than had been at Broadcasting House. 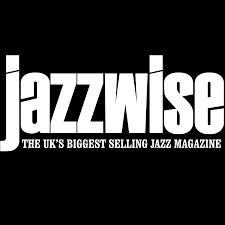 Yet more merriment prevailed at another celebration, the JazzWise magazine’s Xmas Lunch held on December 12th at the Pizza Express, Soho, one of the best ‘live’ jazz venues in central London. Hosted by editor in chief John Newey and Editor Mike Flynn, it was attended by a chatty throng of critics, writers and musicians including Peter Vacher and David Gallant. We were all entertained by the wonderful Danish saxophonist, singer, composer and band leader Mads Mathias whose group performed an excellent set of original songs including the ballad Angel In Disguise. Watch out Mads’ solo album Free Falling. After that Jon Newey led us to a bar with a juke box north of Oxford Street where conversation flowed and laughter prevailed but I have no memory of WHAT we were talking about. A Night in Soho, better than a Night in Tunisia I imagine. 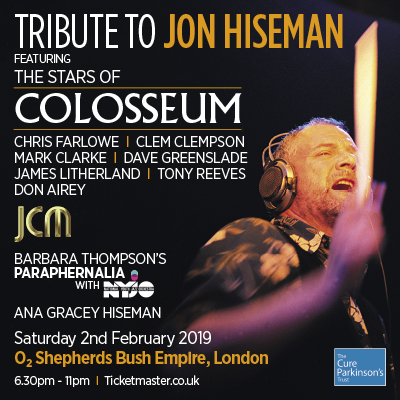 Coming soon, A Tribute to Jon Hiseman Memorial Concert is due to be held at the 02 Shepherds Bush Empire, London at 7 p.m. on Saturday February 2nd. It will celebrate the life and work of Jon, who passed away in June, 2018 and will feature the family, friends and stars of jazz rock pioneers Colosseum and also Barbara Thompson’s Paraphernalia with the National Youth Jazz Orchestra. Ana Gracey, Jon and Barbara’s daughter will open the show with her band featuring Peter Lemer on keyboards, performing songs from Ana’s new 12-track album Wicked Games which will be launched on the night. It’s a collection of well known pop songs given a jazz treatment and sung by Ana with Jon on drums. The album, dedicated to the memory of her father also has Phil Mulford on double bass, with Clem Clempson (guitar), Adrian Revell (saxophones), Billy Thompson (violin), BBC Young Musician of the Year finalist Jess Gillam and Barbara Thompson MBE (saxophone). Former Colosseum members Clem Clempson, Chris Farlowe (vocals), Mark Clarke (bass, vocals), Dave Greenslade (organ), James Litherland (guitars), Tony Reeves (bass) and lyricist Pete Brown (vocals) will then perform Colosseum and JCM classics spanning 40 years. Another night to remember! 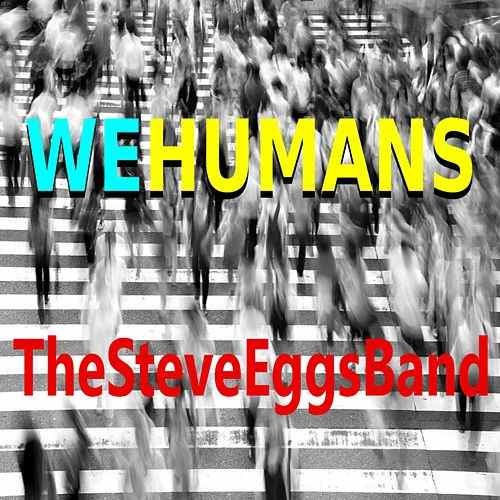 Another splendid album We Humans, featuring the Steve Eggs Band is also due for a special launch event. The CD has 11 songs written by Steve Eggs including their latest rockin’ single Slipstream as well as Don’t Kick My Heart Around, The SS California, Love & Grace and the classic We Humans. The band with Steve (vocals, guitar) has Jon Kershaw (lead guitar, vocals), Peter Wass (bass guitar, vocals ), and Mark Taylor (drums, vocals) will be headlining and performing all the album tracks ‘live’ at Pete Feenstra’s Boom Boom Club, Sutton on Friday 8th February. Be there! P.S. Oh and finally, can’t wait for the Steely Dan concert with guest artist Stevie Winwood at the arena formerly known as the Empire Pool, Wembley (if you can remember that far back) on February 25th. Crack open the lagers and insert ear plugs. Now we’re ready for action.